Seeing your efforts in real time makes these exercises so much more engaging and has made me commit to doing them daily. 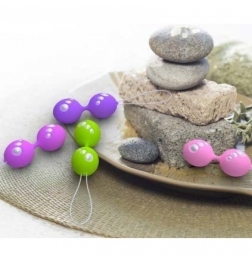 These are perfectly designed kegel balls made from silicon. They were a dream to use and at a terrific price. Was delivered two days after order so not a problem here.